There’s no better choice for your new Buick auto lease than NJ Car Leasing. 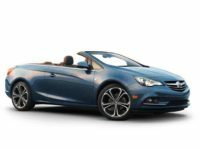 Whether you’re looking to lease the Cascada Convertible, the Envision SUV, the Encore Hybrid or the Verano Sedan, or indeed any other model of Buick currently being made, we have just what you’re looking for, generally all the way down to your preferred color and with your choice of factory options! 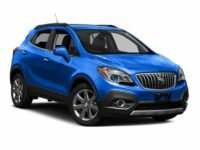 Buick leasing deals don’t get any better than what we offer, with our revolutionary online lease system that lets us cut out all the overhead associated with typical agencies! That means huge savings on monthly lease rates for you, no matter what your preference in models, your financial circumstances, or the length of time for which you want to lease the vehicle! 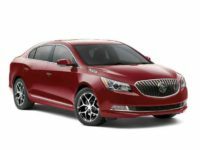 Our contracts are accommodating, the financing terms that we can negotiate are generous, and there isn’t a more convenient system for getting your new Buick in the state of New Jersey! When you use our online system, every step of the procedure, from selecting the automobile that you most want to lease to filling out the application form, from drawing up the contract and negotiating financing terms to the specification of the delivery address (and of course we deliver the car straight to you free of charge) is done online! The only time you have to do anything in person is when you accept the car and sign the final papers! It doesn’t get easier, more economical or more convenient than NJ Car Leasing, so don’t hesitate — get a quote over the phone at 201-720-7316, or start browsing our Buick inventory right now! 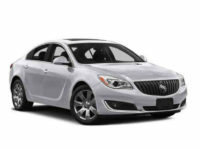 NJ Car Leasing Offers the Greatest Selection of Buick Vehicles Around! If you have experience with traditional (read: old fashioned) leasing agencies, you may wonder how NJ Car Leasing can claim to have a wildly superior selection of automobiles when compared to any other agency. The secret is in our online leasing system which allows us to fill our virtual “car lot” with an infinite number of automobiles for lease. And this is in turn facilitated by the relationships we leverage with Buick (and other makes of auto) dealerships throughout New Jersey state! 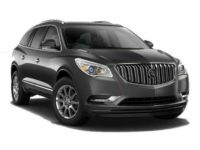 These dealers allow us to offer their stock of Buick automobiles — like the Lacrosse Sedan, the Enclave SUV or the Regal Sedan — as our leasing fleet, so that a visit to our website is like going to every dealership in the state all at once! No other agency can offer this kind of comprehensive vehicle selection, and that’s why when you want your choice of automobiles, you can’t do better than NJ Car Leasing! You’ll never have to trek from car lot to car lot, hoping to find the auto that you want to lease, only to be disappointed again and again and oftentimes having to settle for your second or third choice! We have every make, every model of vehicle in stock, so don’t even consider any other agency! 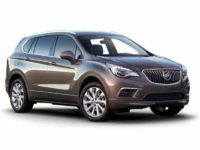 Call us today to get a quote on the Buick you want, or begin the process of getting your auto lease from the selection pages at left!